Available now for $50, including worldwide shipping. 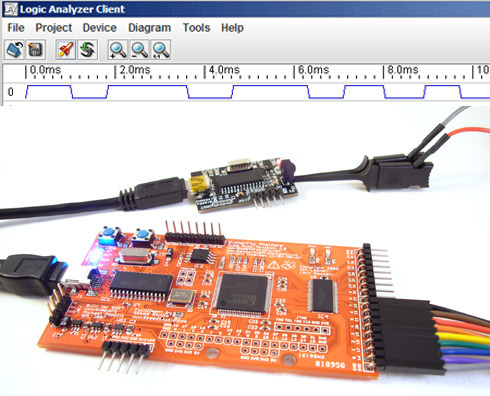 Open Bench Logic Sniffer is an open source logic analyzer. It’s designed to support the SUMP logic analyzer software at the lowest possible cost. This project is a collaboration between the Gadget Factory and Dangerous Prototypes. See the documentation wiki for links, guides, and more.